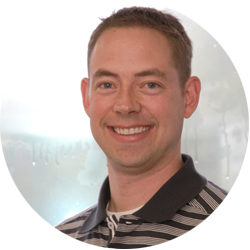 Ryan is a Clinical Science Associate for Genzyme Corporation covering the Bronx and Westchester County since 2005. His focus at Genzyme is to find patients who have a rare genetic disease, educate them and assist them in accessing treatment. Prior to Genzyme Ryan worked at Scios for 4 years helping patients access treatment for acute congestive heart failure. He graduated from Calvin College (Grand Rapids, MI) with a B.A. in Business. While at Calvin, he was an Orientation Board Member, President of his Resident Hall and had the opportunity to work with the Grand Rapids Griffins IHL Hockey Team as a corporate sales intern. Ryan also enjoys volunteering at Covenant CRC where he is a Cadet Counselor and member of the Sound Team. He and his wife Kristina reside in Hawthorne, New Jersey and have 4 children: Brayden, Camden, Lillian, and Kailyn. To contact Ryan, email ryvogel626@gmail.com or call 201-638-5688.